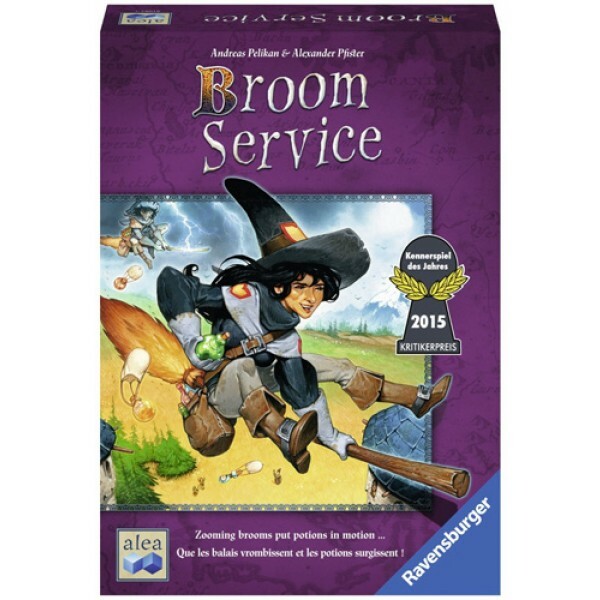 Play a member of the Broom Service in this fun card-based board game! 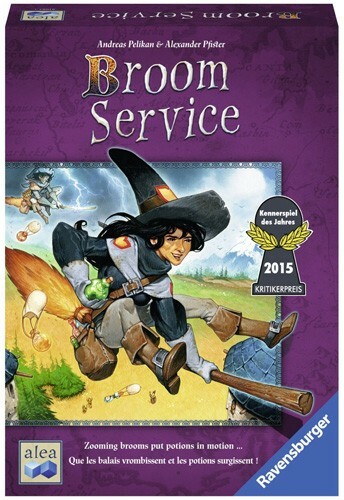 When a witch is out of potions, the Broom Service steps in. 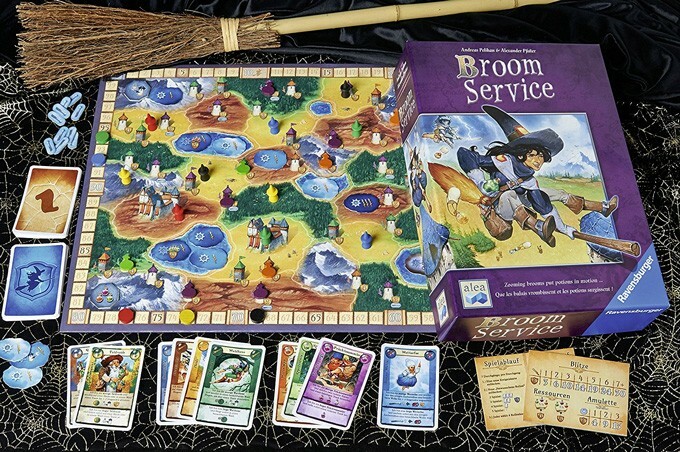 You need to search the board for the right components to concoct your potions, then deliver them to the needy witches. Grizzelda, the weather fairy, helps chase away the bad weather. To win, you'll need to combine luck, skill, a good bluff, and careful management of cards in your hand. Delivery the right potions to score victory points and woosh to the win! This game is for 3 to 5 players but also has a 2-player variant. 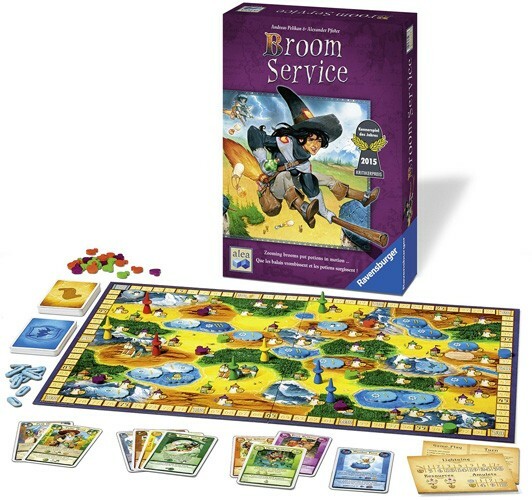 The game includes a double-sided game board, 15 wooden pawns and 5 wooden markers, 60 potions, 50 role cards, 10 event cards, 32 "clouds", 15 amulets, 24 magic wands, 17 landscape tiles, and detailed instructions. Play time is 45 to 75 minutes.